Do service delivery protests actually work? We drive these streets weekly! 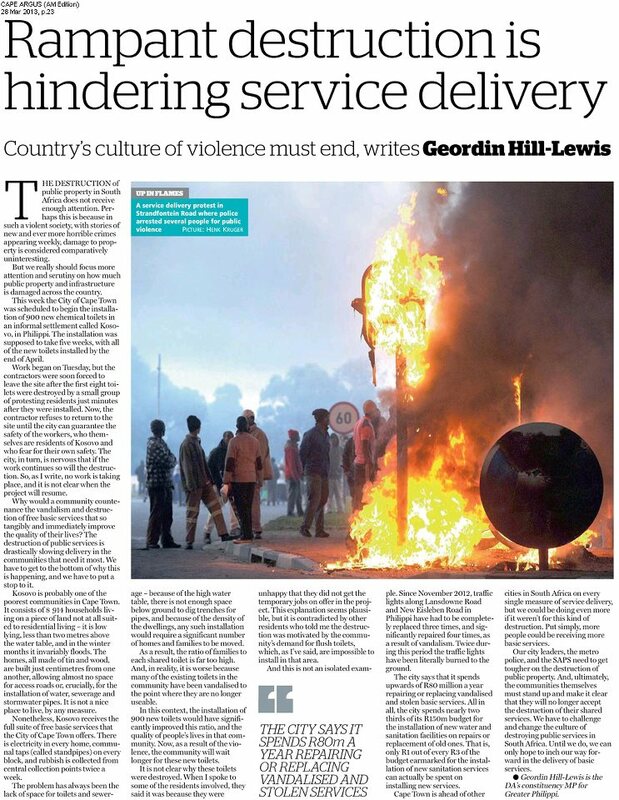 There was a really important opinion piece in Cape Argus a few days ago explaining why service delivery protests in Philippi (one of the communities in the Cape Flats we work within) simply don’t work. We literally drive these streets weekly. When the lights were destroyed a few weeks ago, they put up temporary Stop Signs, which seemed like they should have just been left there. Interesting, no?